Santa Cruz Hillel is capturing the hearts and minds of Jewish students at UCSC by providing a warm and welcoming environment, offering creative and educational programs, connecting students to one another, and building relationships. Your support will help ensure the future of the greater Jewish community by reaching students today with opportunities for leadership, Jewish living and learning, and service. As our program is stronger than ever and growing faster than ever, we must raise the funds necessary to maintain a vibrant community of future Jewish leaders. They will surely benefit from your generosity. UCSC has one of the largest Jewish populations of any western United States universities. Santa Cruz Hillel additionally supports Cabrillo College and CSU-Monterey Bay in its operations. Hillel is sought out as a partner for Jewish programming on campuses. 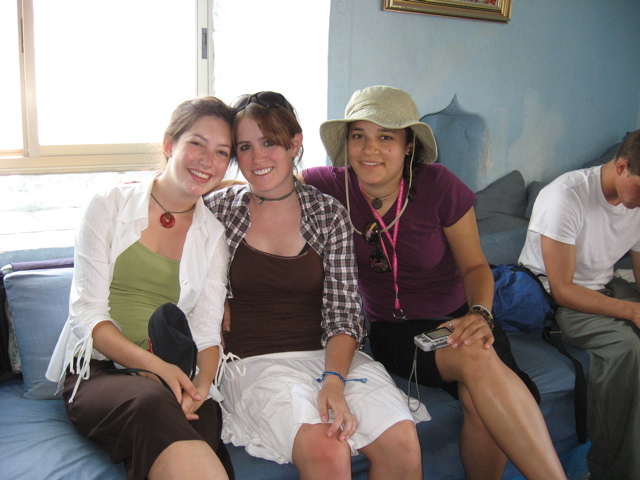 Hillel is the first touch with the organized Jewish community for many students - students who would most likely be lost to the Jewish people and have no connection to their culture in Santa Cruz if it were not for Hillel actively working to connect them. Hillel provides a significant Jewish and pro-Israel presence in the Santa Cruz/Monterey Bay community. Hillel plays a vital role in countering anti-Israel sentiment on the UCSC campus. Hillel staff are always here to help students, whether from signing up for their first quarter of classes to understanding what their religion means to them, Hillel is the safety net for students away from home. The Jewish community at UCSC encompasses students of many different backgrounds and interests. Our student groups work together with our talented staff to provide a diverse and exciting array of activities throughout the school year, including opportunities to have fun, build lasting friendships, learn from local and national speakers, help the homeless, find internships, share Shabbat and holidays, and much more. You can help us expand our program and reach more students than ever with opportunities to be part of a vibrant UCSC Jewish community. Your investment in Jewish students today helps ensure a bright future for us all.